R-Type For Android Released: Classic Arcade Action! Ok so I'm going to have to admit this before we start, I have never heard i this game before.. But it seems to be very popular! 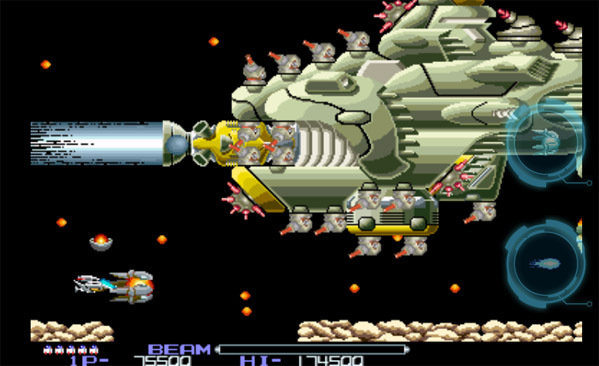 R-Type wasÂ originallyÂ an 80's shooter (before my time, might explain the previousÂ sentence! ), but has been ported to android by developers DotEmu. The game is Xperia Play optimised, meaning it will work great with the physical controls on your Play, but will also work on other android phones too. The promo video also shows it working great on the Xoom, so 10.1" tablets should be supported too! The game is available for Â£2.59 in the android market. CLASSIC ARCADE SHOOTER R-TYPE IS BACK! Let's go back in the 80's with this classic old-school shoot'em up! One of the biggest arcade game will make you travel back in the day. Be ready to have fun with this old-school side-shooter game! INCLUDING ORIGINAL FEATURES! The game is the challenging R-Type you used to play before. And we kept all its specifics, just the way you remember it! Fly through 8 levels with 3 different control options. Play in two difficulty levels. Upgrade with new weapons, power-ups, and attachments. Defeat 8 unique bosses and waves of various enemies. FEEL THE BLAST! Blast off and strike the evil Bydo Empire! Don't be shy and use your best shot to take them down! It's retro, it's fun and it's also hard to master. Be the best ever to finish this masterpiece!